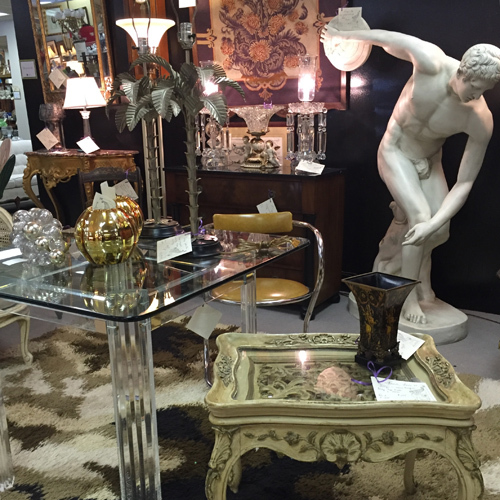 Dealer Ray Althoff brings a keen eye and vast knowledge of Art Deco, French & Italian furniture, as well as the decorative arts, to the creation of his gorgeous displays. Each of his spaces is creatively designed and visually appealing. Ray has been an enthusiastic antiques dealer for the past 30+ years in the St. Louis-Metro area, and is one of the original dealers of the Warson Woods Antiques Gallery. He is also a member of Antiques and Collectibles National Association.